March Madness and Carrier Giveaways! 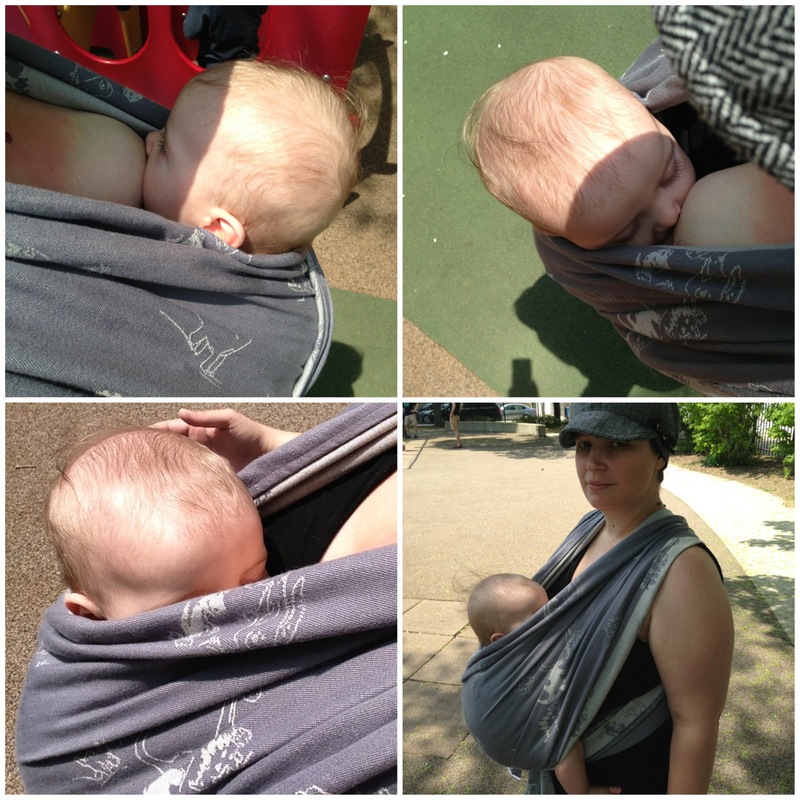 CatBird Baby Pikkolo Review- and a thank you! If you’ve been to a meeting, you’ve probably realized we talk a lot about Catbird Baby products. Catbird Baby Pikkolos and Catbird Baby Mei Tais are well loved in our group. We’d like to send some huge thank you’s and point out why they are such a hit here! We received a donation of two newer style Pikkolos earlier this year, and are super excited and wanted to say thanks. The four libraries have practically had to fight over them they are so popular… We also wanted to share why we love the Catbird Products. 1. They are fantastic quality, durable, and a great fit for differently sized babies, caregivers, and caregivers of different abilities. They work for small, petite parents, and also taller, fluffier parents alike. The traditional mei tai is generously sized, easily adjustable, and high quality. 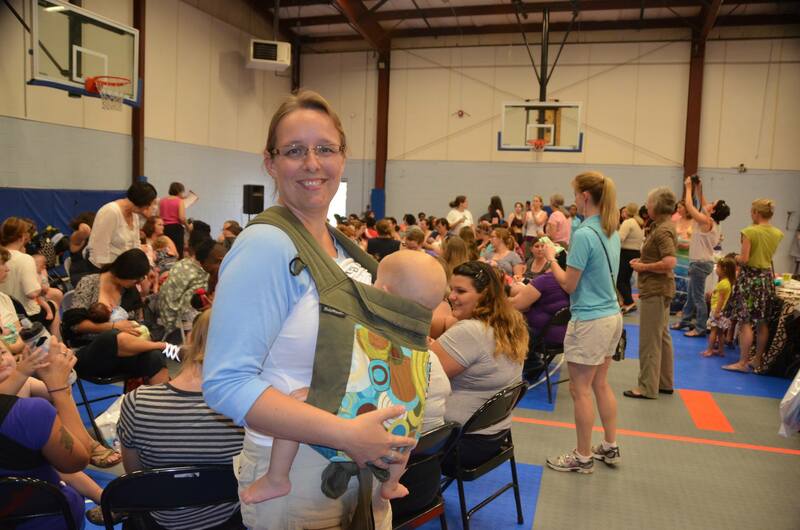 The Pikkolo soft structured carrier (SSC) fits many caregivers easily. The dual adjust shoulder buckle can be adjusted from both directions. This means it’s easier for parents who have limited mobility or shorter arms, to be able to adjust them easily. The buckles can always be pre-set to allow the wearer to pull forward to adjust, which can be a make-it-or-break-it point for some parents. 2. They have a truly one-of-a-kind product in the market. They are the neatest form of “hybrid” for a carrier that is SSC based, with some of the more traditional, asian style mei tai features blended in. How is that you ask?? Unlike other SSC’s, where there is a padded waist support, Pikkolo gives you the option to have a padded or unpadded waist. Without the waist support belt, it is worn in the traditional “Mei Tai” style, also called apron-style, or J style. Here is a great explanation on what that means: Defining apron-style. Sometimes caregivers don’t like the waist padding, and prefer less “stuff” around the waist, or might just like the mei tai feel, but want an easy buckle adjust. This Pikkolo SSC gives that option. And as babe gets bigger and heavier, the optional support belt can be added! 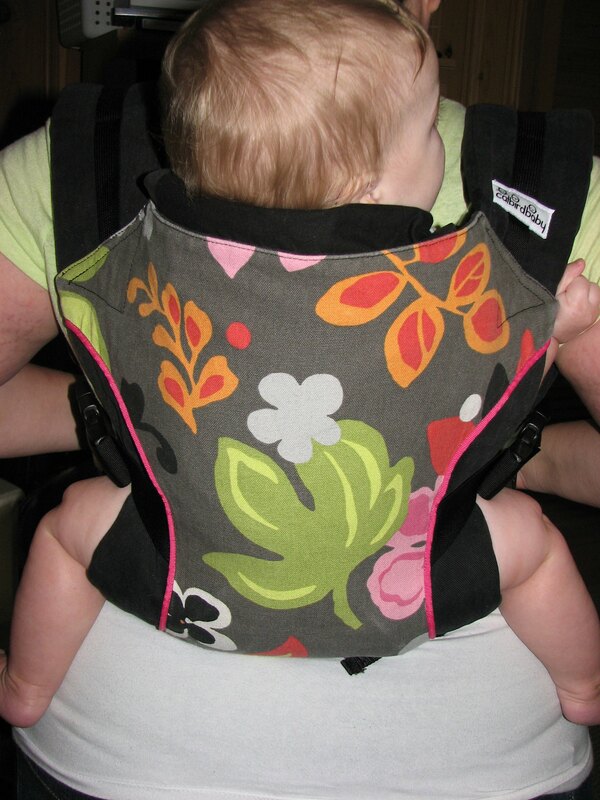 The dual adjust buckles and strap length allows the carrier to be worn in the X pattern across the back for a front carry. 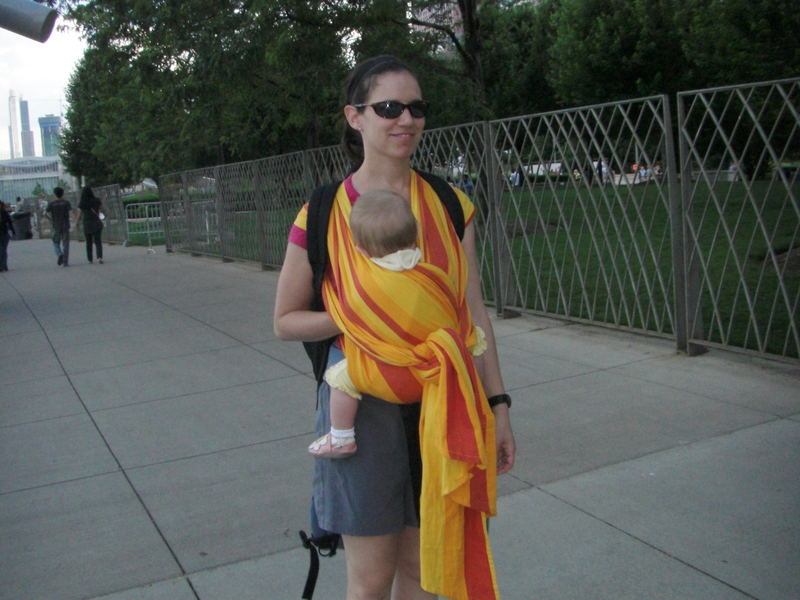 Many parents find this to be the ULTIMATE carrying position for a front carry. 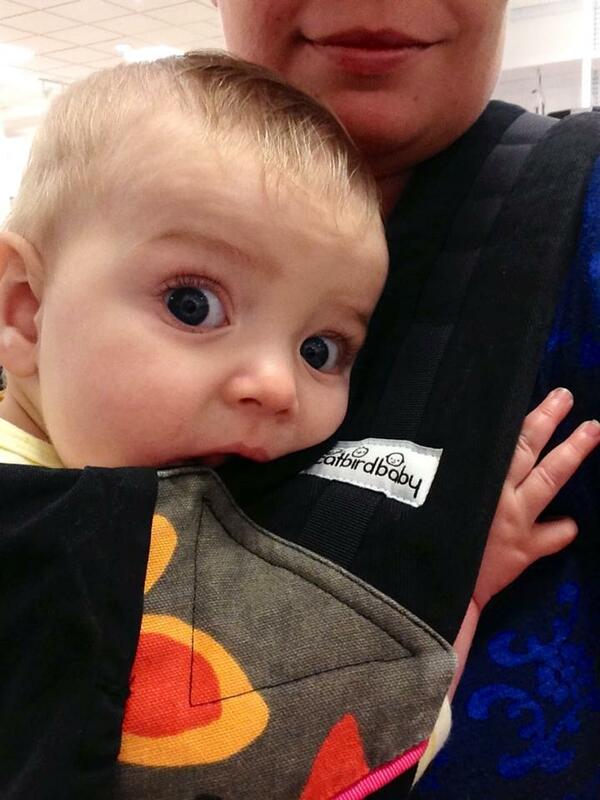 It’s also a fantastic younger baby carrier because the combination of the unpadded waist and ladderlock buckle (to adjust down the base of the carrier) allows it to be used for smaller babies without any special inserts or attachments. The buckle just gets adjusted as babe continues to grow, and is a great fit. They can be worn on the front facing in, on the front facing out (when babe has good head, neck, and trunk control), on the hip, and also on the back! 3. They are helping us “spread the love”. They have offered carriers in the past for the library, so we have some, and have used them extensively. 🙂 They have always been generous, and our group has all loved them… some past the point of retirement. 4. They are local and we “know” them personally (full disclosure here). Catbird Baby is a Chicagoland based manufacturer and distributor, and we love that. They started out in our neck of the woods. And the two women who developed both the Mei Tai and the Pikkolo are both FANTASTIC, and we consider them friends. They were also both involved in the leadership of the two previous groups that merged to form our combined group in January 2011- (the previous BWI Chicago City Slingers group and Lake County Babywearers group). One was with Slingers, and the other with Lake County Babywearers. We love to support local based businesses that have fantastic products. Beth, the owner of Catbird Baby sent us two newer style Pikkolos earlier this year. They were so well received and well loved. I say “newer style” since the version we had previously was the toggle adjust at the base of each side of the carrier, not the current ladderlock buckle. We still have the older toggle adjust Pikkolo in the library, and they still works great, and are constantly checked out. We hope to replace more with the newer version this year, since those are close to the point of “too loved to lend out”. 5. They are super easy to find locally. It was really great to get the current styles in the library to show what can be found at some of the local stores. Three local stores that carry her products also offer us free space for our free meetings (Be By Baby, New Mother New Baby, and Cygnus Lactation). We also want to say again thank you to these businesses as well! You make our lives easier, and we appreciate your help! It’s really nice when a parent is in the market to purchase one and we can show them a Pikkolo and they can actually order or buy it on the spot if they love it. 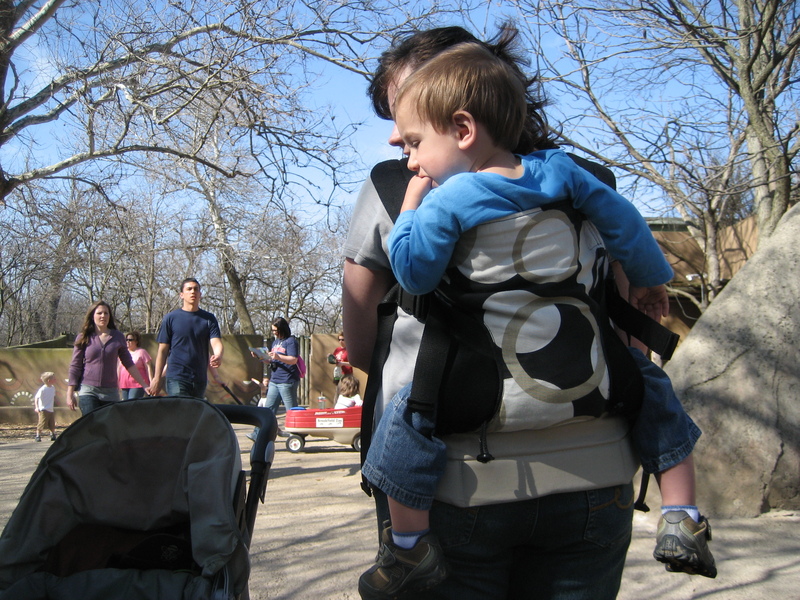 It’s great when parents find carriers they love and we can help make their lives easier! 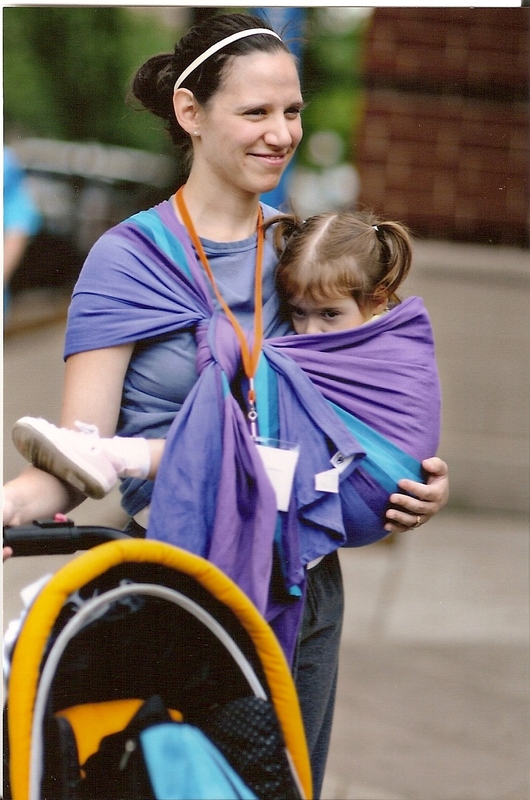 Beth has been generous to Babywearing groups in the past (not just ours). We want to send a HUGE thank you to Catbird Baby for the donation! !